The aim of this SRA was to enhance environmental sustainability in regional Australia, by improving our ability to manage natural regeneration and regrowth for a broad range of social and environmental values. The SRA group tackled an emerging issue of increasing importance for sustainability, land use planning and biodiversity conservation in eastern Australia and elsewhere. Its research findings are providing a sound knowledge base for improved management of regenerating rural landscapes in Australia and elsewhere. Identified the impacts of woody plant regeneration on a range of valued ecosystem services (and disservices) including biodiversity conservation, soil health, carbon sequestration and fire hazards. Developed practical techniques for managing woody regrowth to enhance biodiversity values and other ecosystem services. The SRA group included staff with a wide array of social and ecological expertise and substantial track records in sustainable land use and conservation management in Australia. Most of the group's field research was conducted by its PhD students and Honours students. 2014 was a major year of consolidation and extension with two PhDs submitting and passing their PhDs. The completed projects provided a solid grounding for future work, with major advances in our understanding of the ecological and social aspects of woody regrowth in central Victoria. Research projects conducted in a number of regions, from southern Victoria to south-central NSW. Many regions in South East Australia are undergoing rapid demographic and land-use changes, such as reduced agricultural production and expansion of 'lifestyle' properties. In some regions these changes have promoted regeneration of native woody plants across large areas. Such passive (or unassisted) regeneration is expected to become more widespread in the future. This process is a major issue globally and is expected to be promoted as climate change progresses. Regrowth of native trees and shrubs has triggered a diversity of responses from different sectors of the community, from 'woody weeds' to 'valuable regeneration'. However the diversity of community attitudes to regrowth is poorly understood. Similarly, little research is available on the effects that regrowth has on biodiversity, ecosystem process and ecosystem services. 2014 was a major year of consolidation and extension with two PhD and an Honours projects completed. The research on how shrubby regrowth on private land is being viewed and managed has provided understandings from a social science perspective that can be used to inform culturally appropriate interventions for better biodiversity outcomes. The project on the dynamics of south-eastern Australian woodlands has contributed important theoretical insight into the construction and maintenance of woodland ecosystems world-wide. The results will also assist land managers in making informed decisions regarding the use of disturbance-based management in woodland ecosystems. The research on legacy trees and soil microbes will advance our understanding of the role that communities of microbes play in the process of natural regeneration, and establish whether old growth trees serve an important function in the preservation and recovery of these microbial communities. Ideally, this understanding would allow us to help restore the functional diversity to recovering ecosystems. These findings may also support the implementation of new forest husbandry techniques to help facilitate and expedite restoration efforts. The research on the paradoxes of native vegetation management aims to support regional communities and government agencies involved in land management. 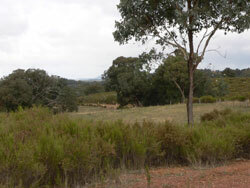 It is anticipated that the findings will contribute to a greater awareness of the consequences linked to the paradoxical nature of contemporary vegetation management and policy, including the role public narratives have in policy development and its implementation, particularly after major crises such as bushfires. This has relevance for policy makers, managers and community in efforts to enhance the development of sustainable vegetation management and fire protection policies. Dent, Candice (2014) Understanding social and ecological aspects in a changing rural landscape: the southern Strathbogie Ranges, Victoria. (Charles Sturt University, Albury). Zeeman, Benjamin (2013). Vegetation dynamics of a long-unburned coastal woodland: changes from 1971 to 2012 (La Trobe University, Melbourne). Anderson, Pheona (2012). Effects of woody plant encroachment on soil properties in a regenerating landscape in central Victoria. (Charles Sturt University, Albury). Coulson, Claire (2012). Factors influencing the occurrence of Brachychiton populneus and Schinus molle in a fragmented agricultural landscape. (Charles Sturt University, Albury). Zeeman, B.J., Lunt, I.D., & Morgan, J.W. (2014). Can severe drought reverse woody plant encroachment in a temperate Australian woodland? Journal of Vegetation Science, 25(4), 928-936. Smallbone, L., Matthews, A., & Lunt, I.D. (2014). Regrowth provides complementary habitat for woodland birds of conservation concern in a regenerating agricultural landscape. Landscape and Urban Planning, 124, 43-52. Coulson, C.,Spooner, P.G., Lunt, I.D., & Watson, S.J. (2014). From the matrix to roadsides and beyond: the role of isolated paddock trees as dispersal points for invasion. Diversity and Distributions, 20(2), 137-148. Whitsed, R., & Smallbone, L. (2014). Uncertainty in a cellular automata model for vegetation change. Journal of Spatial Science, 1-16. Geddes, L.S., Lunt, I.D., Smallbone, L. & Morgan, J.W. (2011). Old field colonization by native trees and shrubs following land use change: could this be Victoria's largest example of landscape recovery? Ecological Management and Restoration 12(1), 31-36. Lunt , I. D., Allan, C., Spooner , P., Thwaites, R., & Morgan, J. (2010) Managing regrowth in Australia's changing rural landscape: a social phenomenon. Australasian Plant Conservation 19(1), 5-6. Understanding bird responses in regenerating agricultural landscapes, Dr Lisa Smallbone. Demonstrated that regrowth is valuable habitat, complementary to forest reserve. Modelling suggests tree cover to be dominant feature by 2046. This will indicate how ecosystems are recovering below ground, and determine whether legacy trees provide protection to fungi and bacteria. What can we learn about woodland dynamics from dense tree regeneration? Erika Cross. Dense regeneration provides a unique opportunity to understand the dynamics of open vegetation types! (Melbourne University). Thinning increases understorey richness and cover, both exotics and natives. Thinning can restore benchmark levels in short term, but not all sites respond (topsoil/seedbank, grazing). Social and ecological changes in the southern Strathbogie Ranges, Candice Dent (A/Prof Lunt presented). Farmers and amenity landholders both saw the landscape as a production, agricultural landscape,not 'bushland'. Some revegetation occurring, but vegetation was infrequently discussed. The "home-grown terror" within your beloved forest. Samantha Strong. Contradictory myths of war, hell, risk and control frame an overarching complexity; contributes to policy 'reality'. Perceptions of shrubby regrowth in Central Victoria, Dr Fleur Stelling (Dr Allan presented). Reframe regrowth, engage wide range of stakeholders, appeal to landscape preferences, cultural preferences and the bird narrative; that is establish new social norms – regrowth stewardship. Following the presentations researchers joined with the other participants in three concurrent workshops that considered policy, organisation and on ground responses to the material presented. Each group developed ideas for changed perception and management of woody regrowth in Victoria. international ecology conference INTECOL, London, August 2013 at its Biodiversity, Ecosystems Services and Multifunction symposium. Joey Walters-Nevet What role do legacy trees and soil microbes play in the process of natural regeneration?